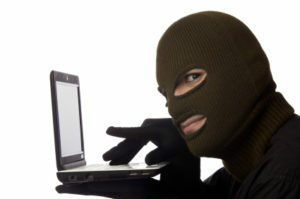 How Can You Avoid Identity Theft? Getting charged for $1000 worth of electronics that you didn’t buy. Seeing your credit score plummet for seemingly no reason. These types of scenarios are potential nightmares for most of us, but they seem unlikely enough that we probably don’t spend much time worrying about them. Identity theft is something that happens to other people and Jason Bateman in that one movie, right? According to the Canadian Anti-Fraud Centre, more than 19,000 identity fraud reports were filed just last year. That comes to a total of $11.1 million in estimated losses. It might be an upward trend, since 2012 had around 17,000 reports – though it totaled more than $16.6 million in losses. As you may remember, Target was the latest catalyst for a major case of identity theft. Last December, hackers took advantage of the holiday shopping season by breaching Target’s database and taking about 40 million credit and debit card numbers, in addition to 70 million people’s names, phone numbers, email addresses, and home addresses. While this attack was limited to Target stores in the States, Canadian customers that visited the store during that critical period were vulnerable as well. To combat this, the company contracted Equifax, a credit-monitoring firm, to take care of these customers. Those who signed on for the complimentary service provided by Equifax would be immediately alerted via email or text message if someone should apply for credit under their name, whether it be for a credit card, a car lease, or anything else. If an identity thief chooses you as their victim and starts to use your credit cards to pay for their next big vacation, that could wreak havoc with your credit score. To protect your all-important credit score, there are a few things you can do to ensure that you aren’t an easy target for identity fraud. First, make sure you regularly check your bank and credit card statements to confirm that there isn’t anything out of the ordinary. This may seem overly simple, but many of us may neglect to do this – whether it’s because we’re busy, we’re feeling lazy, or we think it’ll just be the same old, same old. 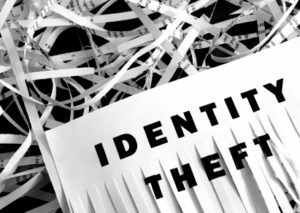 But a quick glance over our statements can make all the difference between catching an identity thief in action and having the wool being pulled over your eyes. Secondly, make sure you order your credit reports as least twice a year to ensure accuracy. You can do this by contacting companies such as Equifax or TransUnion, who will give you your credit score for free, or by accessing it online for a small fee. Finally, the easiest thing you can do is keep your private information just that – private. Be sure to properly dispose of personal documents that may have your social insurance number or banking information on them, and be wary of sharing such sensitive information over the phone or online.